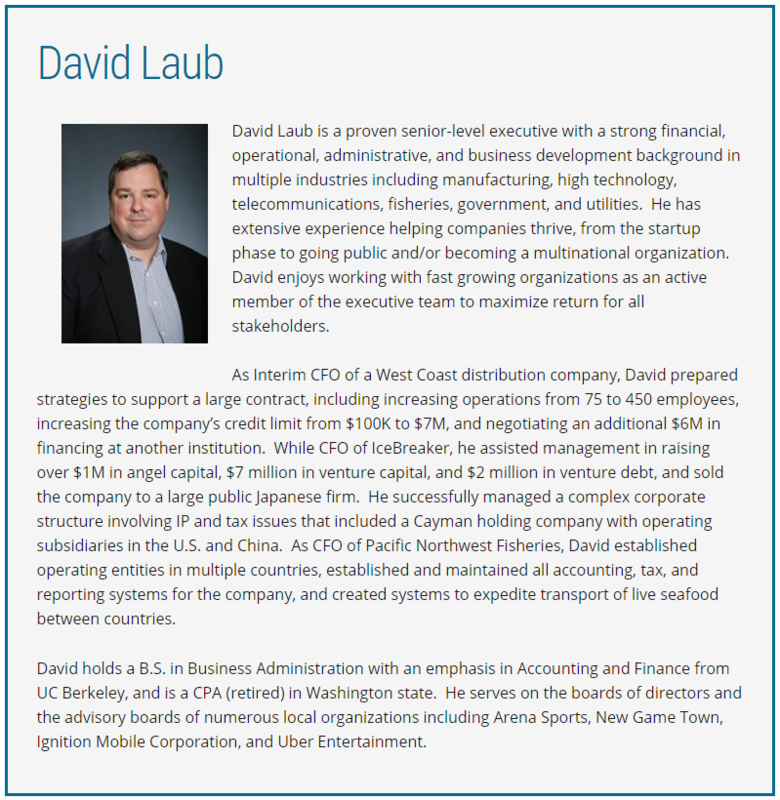 David Laub is a proven senior-level executive with a strong financial, operational, administrative, and business development background in multiple industries including manufacturing, high technology, telecommunications, fisheries, government, and utilities. He has extensive experience helping companies thrive, from the startup phase to going public and/or becoming a multinational organization. David enjoys working with fast growing organizations as an active member of the executive team to maximize return for all stakeholders. As Interim CFO of a West Coast distribution company, David prepared strategies to support a large contract, including increasing operations from 75 to 450 employees, increasing the company’s credit limit from $100K to $7M, and negotiating an additional $6M in financing at another institution. While CFO of IceBreaker, he assisted management in raising over $1M in angel capital, $7 million in venture capital, and $2 million in venture debt, and sold the company to a large public Japanese firm. He successfully managed a complex corporate structure involving IP and tax issues that included a Cayman holding company with operating subsidiaries in the U.S. and China. As CFO of Pacific Northwest Fisheries, David established operating entities in multiple countries, established and maintained all accounting, tax, and reporting systems for the company, and created systems to expedite transport of live seafood between countries. David holds a B.S. in Business Administration with an emphasis in Accounting and Finance from UC Berkeley, and is a CPA (retired) in Washington state. 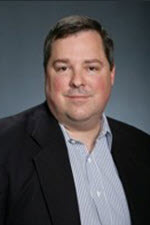 He serves on the boards of directors and the advisory boards of numerous local organizations including Arena Sports, New Game Town, Ignition Mobile Corporation, and Uber Entertainment.